FLEXIBLE SEATING GROUP 160-amp alternator, 2nd row 40/60 tip & slide bench seat, 3rd row 50/50 fold/reclining bench seat, easy entry system seat, air cond w/3-zone temp control, PWR EXPRESS OPEN/CLOSE SUNROOF, EXTERIOR APPEARANCE PKG 19" x 7.0" cast aluminum wheels, P225/55R19 all-season touring BSW tires, performance tuned suspension, performance tuned steering, fog lamps, CONVENIENCE GROUP I air filtering, cargo compartment cover, driver/passenger lower LED lamps, front/rear aimable LED lamps, leather-wrapped steering wheel w/audio controls, universal garage door opener, 28K SXT CUSTOMER PREFERRED ORDER SELECTION PKG 3.5L V6 engine, 6-speed automatic trans, 3.5L MPI 24-VALVE HO V6 ENGINE (STD). .
"Minivan-style interior functionality, perfect crash-test scores, interesting entertainment and communications options, attractive pricing." -Edmunds.com. Consumer Guide Recommended SUV. 5 Star Driver Front Crash Rating. 5 Star Driver Side Crash Rating. Pricing analysis performed on 9/28/2018. Hello, I would like more information about the 2009 Dodge Journey, stock# P1445A. 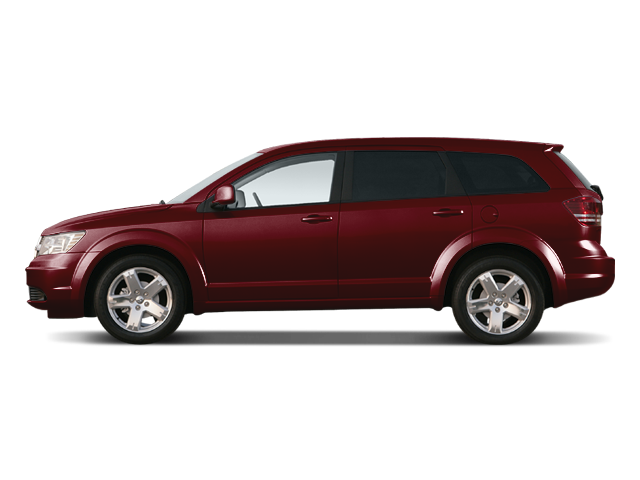 Hello, I would like to see more pictures of the 2009 Dodge Journey, stock# P1445A.